On the way to Nigde famous with delicious apples, to the south east of Ankara, we found ourselves in a small village Acemhöyük settled by immigrants from Iran called Acem in old Turkish following the road signs. Höyük is the Turkish word for mound. Then we found ourselves in the ruins of a magnificent Bronze Age Anatolian Palace. Old Assyrian Empire of Northern Mesopotamia had established a well developed trading system with Anatolia in 1960 BC. 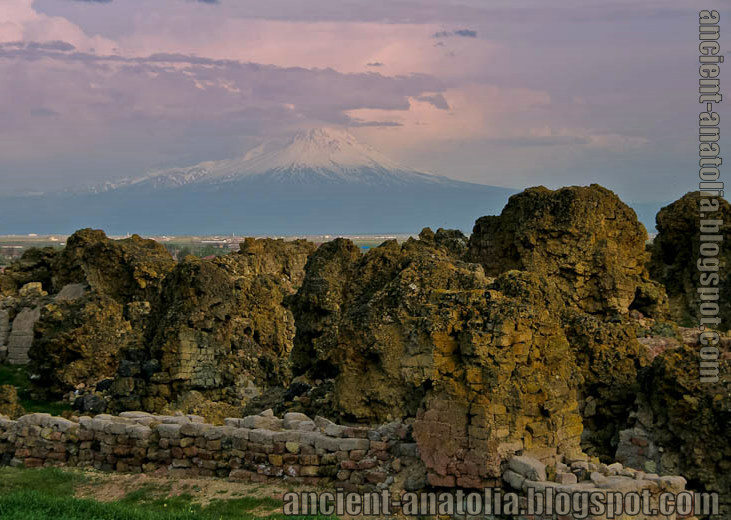 During this period, Anatolia was dominated by feudal kingdoms largely formed by the late Hattian city-states. Since the times of Akkad the Mesopotamians who knows the wealth of Anatolia had developed a wide and systematic business relationship with their northern neighbors under the leadership of Assyria. They brought the tradition of cylinder seals and cuneiform writings, along with their foreign languages. Thus, Anatolia entered ages of written history since 1950 BC. Traders used donkey caravans as a means of transportation on the way to Anatolia, via Diyarbakir, Malatya, Urfa, Marash, Adana, and Taurus mountains passes. The merchandise was Assyrian tin, goat hair, woven goods, clothing fabric, decorative items, some odors, in exchange for Anatolian gold and silver ware. Merchants had no political or military goals. They earned the right for protection of Anatolian Lords for their businesses, property and transportation in exchange for their rent and taxes. Traders settled in markets outside the towns of Anatolia. They had twenty markets, called karum. The central market was Kültepe Karum Kanesh at the lower city. The Assyrian merchants of Anatolia had lived with indigenous people in Karum. The cuneiform tablets uncovered in the excavations in houses of merchants in exhibit at the Museum of Anatolian Civilizations in Ankara. 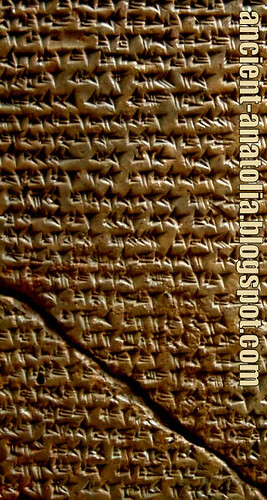 Most of the clay tablets are in rectangular format, written in the Old Assyrian language, in cuneiform script, by means of a blunt reed for a stylus. Most of the documents concerning the management of the shopping and commercial center, and some personal letters of merchants. Potter's wheel became widespread in the Age of the colony, the written history began, and the Hittites came on the stage. In general, Old Hittite art was born in a form of the Old Bronze Age art style, with the effects of Mesopotamia and Hattian art styles in Hittite point of view. This feature is visible in Kültepe, Acemhöyük, Alişar and Colonial Era Bogazköy seals. "When I ... went into battle, the Man of Purushanda brought gifts to me; he brought to me a throne of iron and a sceptre of iron as a gift. But when I returned to Nesa [Kanesh] I took the Man of Purushanda with me. As soon as he enters the chamber, that man will sit before me on the right". - Anitta, son of Pithana, king of Kussara, a city that has yet to be identified. He is the earliest known ruler to compose a text in the Hittite language.